Mandie was born in a little place called Newbridge in the South Wales Valleys, where everybody knew everybody else. She didn’t have the chance to own any pets whilst living at home with her parents, so as soon as she bought her own home she adopted two cockatiels called 'Barney' and 'Fizz'. Mandie has always wanted to work with animals, so after pursuing a career with Panasonic for twelve years she decided to fulfil her lifelong dream. 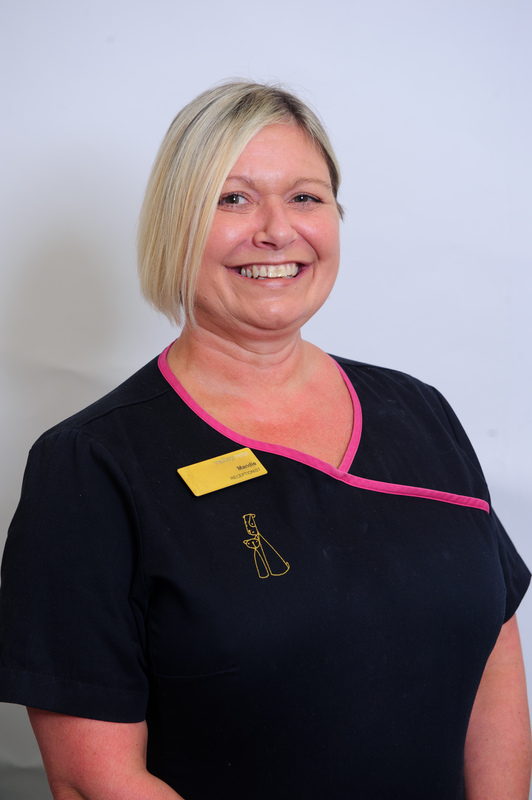 She first joined the Valley Vets family in 2005 as a receptionist and has never looked back. Other members of staff say this is the perfect role for her as it involves talking..... a lot; something she excels at! Mandie greets every client with a big smile and a very warm welcome . In her spare time she enjoys going for long walks along the Welsh coast and spending time with her three cats, guinea pig and frog. She also enjoys cooking vegetarian meals (usually badly) for her long suffering partner.